Python 2.7 is the tool of choice for linking CG pipelines. Custom tools speed up repetitive workflows and help you concentrate on the art rather than data entry or trouble shooting. You can create python tools to enable CG packages to talk to each other and to shot management software such as FTrack and Shotgun. Python has a massive online presence and one can find code snippets to do almost anything. To some extent the hard part is choosing the best tools out of a vast array of choices. Here is my setup. If you’re running a 64bit version of windows make sure to look for the Windows x86-64 MSI installer. Qt Designer is a basic UI designer for Qt. It’s worth take time to understand the layout framework. but really its pretty simple to use and you can get upto speed quite quickly. QtDesigner creates .ui xml data. To turn it into something we can run we first need to convert it to Python code. To do this we use the pyside-uic command. You can do this in the command window but if your doing a lot of work on the same file I find it quicker to create a .bat file in the same folder as your .ui file. This means that in order to interact with the GUI that we have created in Qt Designer we need to create a separate file for the rest of our application code. Ftrack API is very simple to use and is well documented. It also needs a pathmap added to the PYTHONPATH user variable, there is an option to do this automatically during the installation. The Eyeon production pipeline is an open source project for shot management. Its based around BMD Fusion and Generation. This webclipper and collaborative documentation tool has a python API (and many others). I’ve yet to use it. If anyone has experience please comment. Somehow the 60GB on my SSD is never enough for windows (sigh) and I’m always doing house cleaning to make sure it has enough free space. Treemaps help me visualise the data and clear out the biggest space hogging offenders. I designed my desktop I opted for a superfast but small SSD drive for the windows OS and a big 1TB raid for everything else ( i’ve also another 200MB SSD for cache files and program files). VFX generates a bucket load of data. It’s important to keep on top of my house keeping. This will show you how to remove the annoying circles that appear in windows 7 and windows 10 when you use a wacom tablet.They’re for touch screens, and you don’t need them if you have the wacom pen buttons. They just get in the way and slow you down. 1.Open the windows control panel. 3.In ‘pen options’ select ‘press and hold’ and press the settings button. 4.Uncheck the ‘enable press and hold for right-clicking’ option. 5.click ok to close the dialogs. 3. Navigate to… User Configuration > Administrative Templates > Windows Components > Tablet PC > Cursor. 4. Set ‘Turn off pen feedback’ to enabled. 5. Now navigate to… Computer Configuration > Administrative Templates > Windows Components > Tablet PC > Cursor. 6. And again Set ‘Turn off pen feedback’ to enabled. I was still getting some glitches in windows 10 where the wacom pen failed to left click. This seemed to cure the problem. 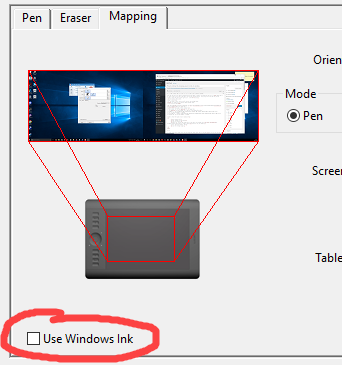 You can turn off windows ink in the wacom tablet preferences. 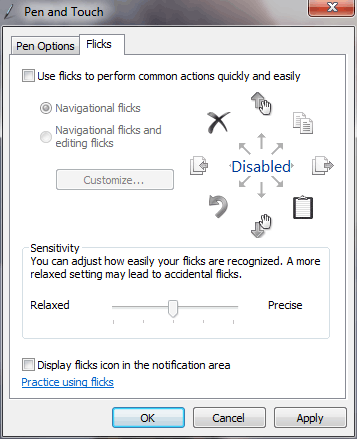 4.Uncheck ‘Use flicks to perform common actions quickly and easily’. 6.click ok to close the dialogs. 1.With the control panel view in “view by category mode”. It melts my brain that this is still an issue in windows 10. Hopefully the solutions above will help. If you try working through in stages you’ll get a feel for what windows trying to do and how it messes up Wacom. …. So then there’s windows uac to fix …. The macbook’s missing hash key etc. The macbook pro has no # key. Which is a bit of a pain if you’re writing maxScript.